However, in daily business life we often view those who try to rein in or express contrarian views as downers. As a result, in the desire to show who is less negative, a race to the top of optimism’s ladder begins and at some point becomes Pollyannaism. Moreover, as we saw in the benefits of viewing a glass half-empty rather than half-full, the fear of being in an adverse situation can be a powerful motivator for taking action. Thus, a Pollyanna state could reduce a group to complacency. That means a team in the midst of success is less likely to change than one in the midst of crisis. 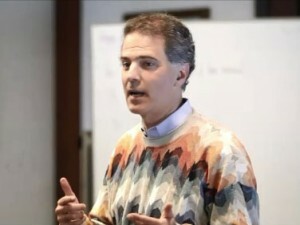 While clearly defining the demarcation zone between optimism and Pollyannaism is difficult, it once again highlights the failure of success and casts doubts on “nothing breeds success like success.” In fact, as the writers suggest, the best indicator that Pollyannaism might have infected a business culture is the degree of success it has been having. After all, it’s kind of hard to reach a Pollyanna State if you’re not even in the State of Optimism. *Olivier Sibony is a director in McKinsey’s Brussels office.